Sicilian physician; born at the end of the fourteenth century; died 1447. Renowned for his learning and eloquence, he was deputed in 1428 by seventeen Jewish communities of Sicily to wait on King Alfonso V. for the purpose of obtaining the abrogation of anti-Jewish laws enacted in that year. 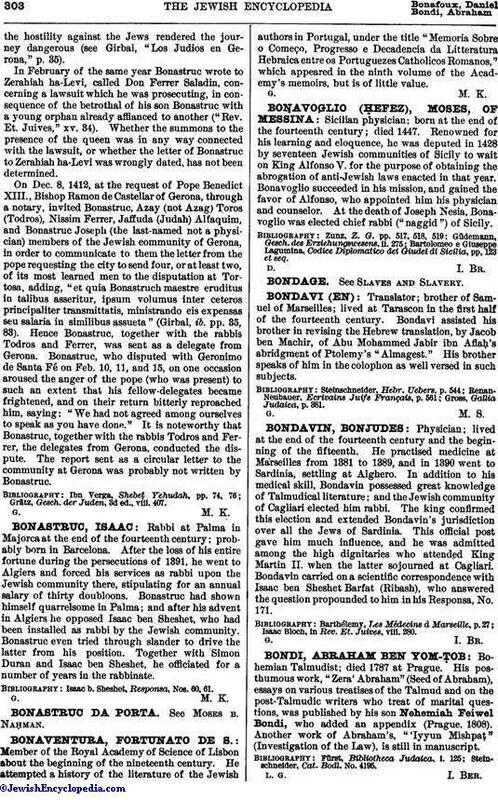 Bonavoglio succeeded in his mission, and gained the favor of Alfonso, who appointed him his physician and counselor. At the death of Joseph Nesia, Bonavoglio was elected chief rabbi ("naggid") of Sicily. Bartolomeo e Giuseppe Lagumina, Codice Diplomatico dei Giudei di Sicilia, pp. 123 et seq.